Hotels and lodging spaces have evolved drastically over the years focusing more on offering a unique experience rather than just providing the basic facilities for a comfortable stay. Today, resorts are built on the most exotic corners of the planet that have some historical, natural or political relevance contributing to the vacationing experience. This holiday season ditch the sandy beaches and misty mountains! Explore the city instead. Yes, the city though considered dull and dreary can prove to be quite interesting if only you know where to look. 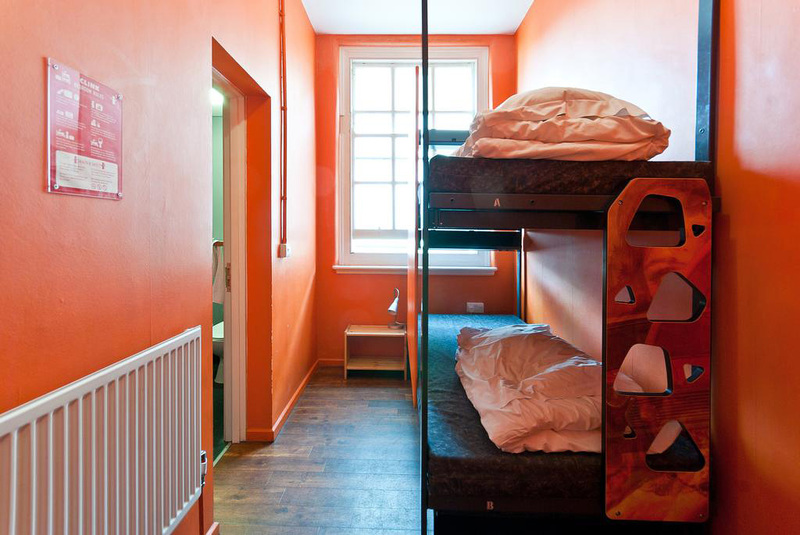 The Clink78 Hostel is one such place that is located in one of the busiest cities, London, Great Britain. The first thing that comes to mind when you imagine a hotel is a nice quiet room with wide windows and a plush bed. And while the Clink78 does offer you solitude and comfort, it has a story buried in the nooks and crannies that will blow your mind. The Clink78 Hostel was originally a jail, or more of a courthouse really with cells and a courtroom. It does not get more bizarre than this! Built more than a century ago, the courthouse is rumored to have housed the most notorious criminals of England and was abandoned ever since 1998. The hotel was not opened to the public until recently and was a place where traffic police held offenders. The entire place, though very spooky, has a very funky feel to it that somehow makes you forget about its dark background. Set in a 200-year old magistrate’s courthouse, Clink78 Hostel is the perfect gateway for solo travelers and backpackers who want to crash in for the day after a busy day out. Clink78 also happens to be the place that witnessed the trail for The Clash, the place now is renovated to a TV room. Also, the courthouse is even rumored to have inspired Charles Dickens to write Oliver Twist! Located in the heart of London, this antique lodging space is perfect for backpackers and students who want a vibrant and funky yet elegant place to stay. 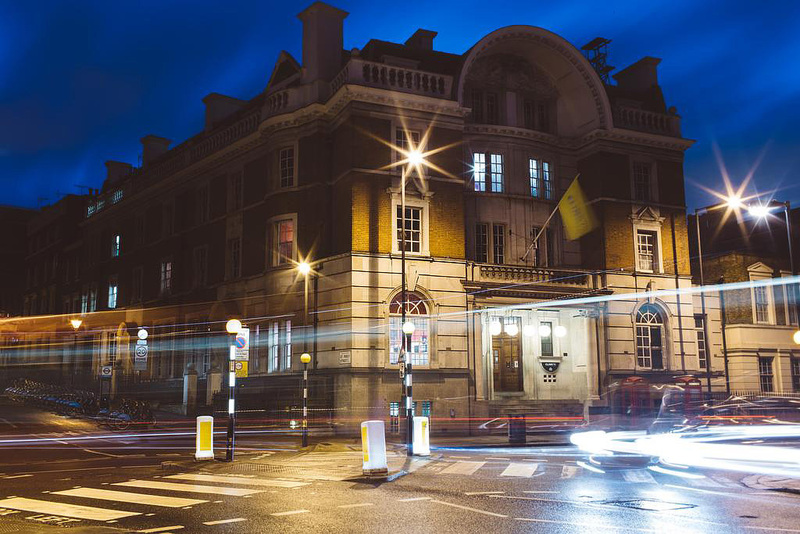 Set in the busiest corners of King’s Cross station, the ancient courthouse now converted to a hostel has compact jail cells for bedrooms, a buzzing bar and beautiful private dorms for special performances. The strategic central location of the place, though not exactly peaceful, is very practical. Clink78 is well connected to all the landmarks of the city. Peppered with busy roads, cafes and curry houses, the place is edgy and upbeat. A lot of the antique architecture is retained, while some of it is redesigned to suit the funky ambiance of the place. For instance, the computer room still looks like the old courthouse. 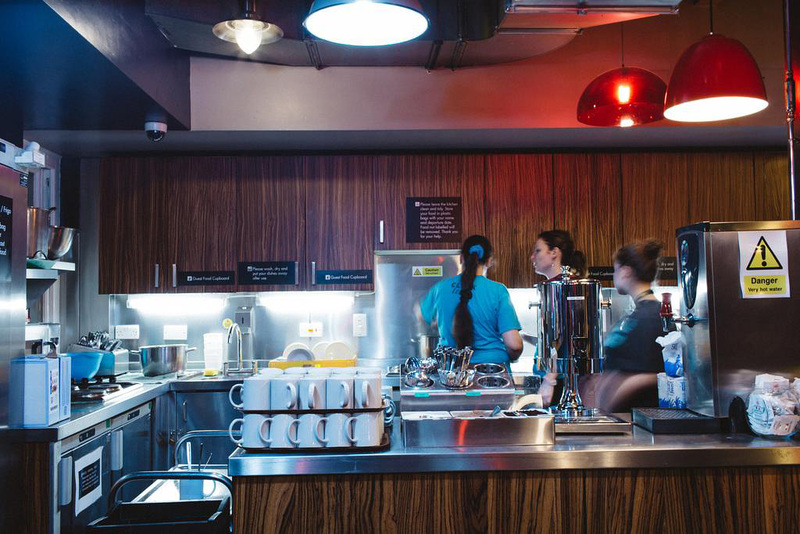 Clink78 Hostel is huge, colorful, quirky and modern with a slight touch of the past. The place gets its name from the famous anarchists.The ClashBARhere hosts several live concerts and has a DJ. The room features a very Victorian décor that is strikingly different from the punk-rock mood of the place. 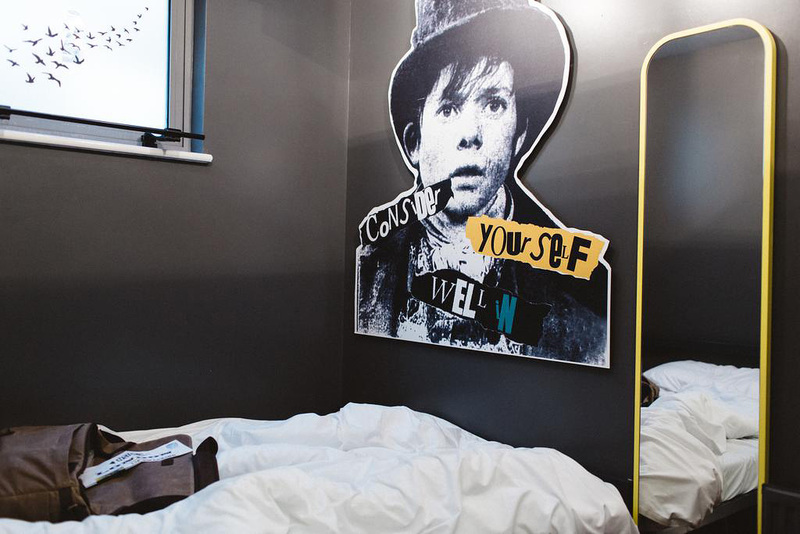 Clink78 Hostel offers guests a real slice of Britain’s history that is now mixed with the quirky interiors. The innovative Clink78 Hostel was originally a magistrate’s office that featured a courthouse and several prison cells. While the hostel retains most of its original design there is a drastic change in the ambiance of the place thanks to the funky décor. The prison cells are converted to dorm rooms with bunk beds and minimalistic furnishings. You can even chill out in the courtrooms that are now renovated to computer rooms where people can work and socialize. The communal lounging areas and spacious TV room were formerly the places where the punk band The Clash stood trial. There are all kinds of room available here at various prices, ranging from private suites to double rooms and dorms. The bunk beds come with a personal lamp and a locker. The walls are painted in vibrant colorful shades and feature beautiful graffiti that brightens up the otherwise dull and dreary surroundings. At Clink78 Hostel, students and backpackers can truly relive their hostel days and experience the thrills of cooking their own food, playing games all night and sleeping in dorms with bunk beds. The place, though very antique and elegant is now tweaked to suit the modern lifestyle. The light and airy lounge with its plush sofas and vending machines is the place to be at; here, you can just chill out and socialize with other inmates. You can simply stay indoors and laze around all day exploring the hostel and learning more about the previous occupants and trials that used to take place here centuries ago. For the more adventurous type, the place comes with a fun bar and nightclub called ClashBar that is famous for hosting live music concerts complete with a DJ. You can party all you want here with your friends, get drunk at the nearby bar and dance the night away. The bar also comes with a gaming area where you can play video games and socialize with fellow gamers. 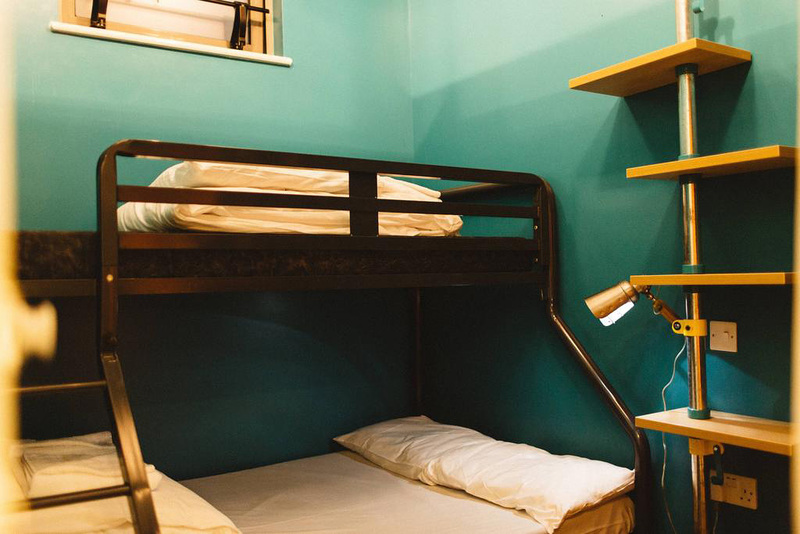 The Clink78 Hostel is placed smack in the middle of the city and a few minutes’ walk away from the King’s Cross & St Pancras Station from where you can go anywhere thanks to the superfast underground trains that are spread across the city. Also, if you are a Potterhead, do not forget to check out platform 9 ¾! 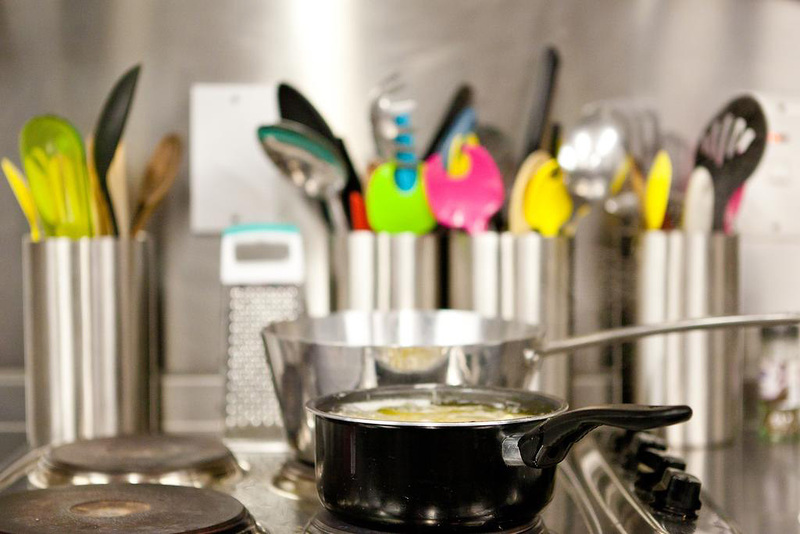 The hostel is set in a busy location of London where you will constantly experience the rush and chaos of the city. The intricate lanes, cobbled streets, numerous cafes and curry houses add on to the urban charm. The place though not situated in the most sought afterneighborhood is definitely a well-connected and popular location. There are loads of eateries and restaurants around that serve everything from Indian, Italian to Chinese and Vietnamese cuisines. The famous travel attractions include the British Library, Bloomsbury, Sadler’s Wells, Canal Museum, Brunswick, Hyde Park, Big Ben, London’s Eye, Buckingham Palace, Trafalgar Square and others. Clink78 has a travel shop where the hostel offers guests discounted tickets to the nearby tourist attractions as well as the travel essentials such as battery chargers and guide books. 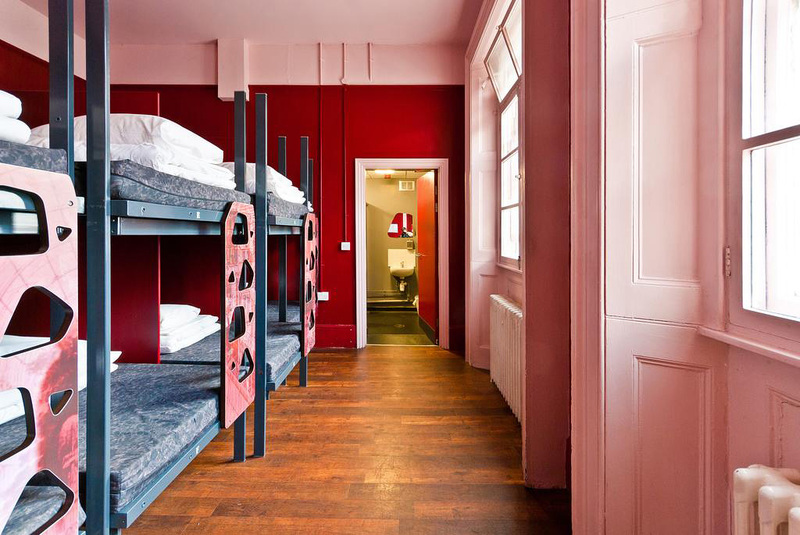 The Clink78 Hostel combines the best of 21st-century facilities with Victorian architecture making the place an ideal hangout spot for backpackers looking for a warm and cozy stay in London. 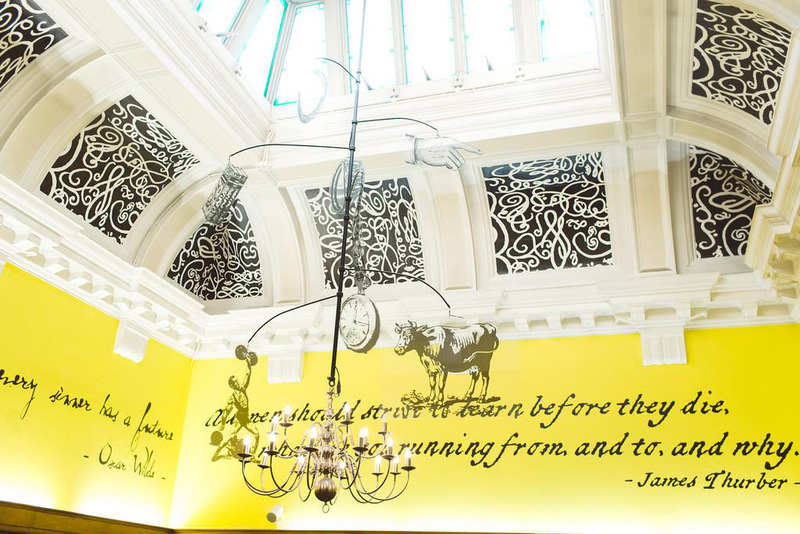 The 200-year old courthouse now restored to a hostel is a revolutionary concept that sets it apart from other traditional accommodation across England. The building is classified as an English Heritage Site because of its antique front-entrance, the reception, 7 authentic prison cells and two courtrooms that still retain most of its original design. 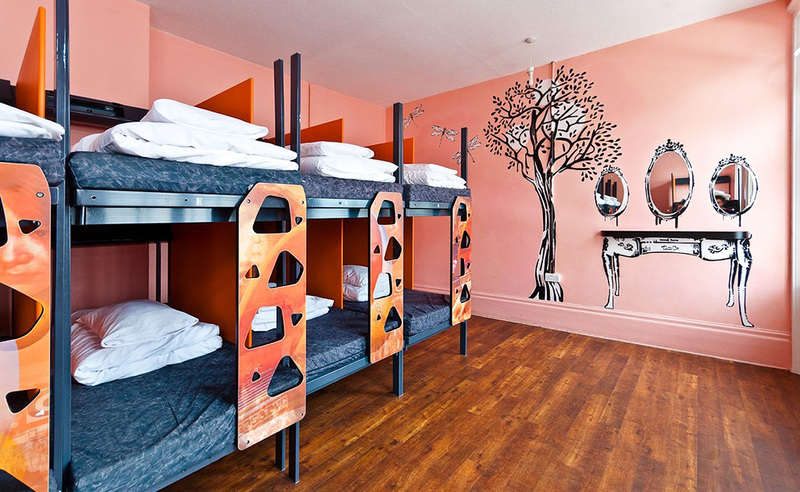 Known for its cheap, chic and stylish accommodation, the hostel features designer dorms with pod beds, a table lamp, and vibrant walls. Very rarely would come across a place that has a rich history but also adapts wonderfully with today’s punk rock style. The Clink78 Hostel is one of the few places that manage to strike the perfect balance between antiquity and contemporary themes. History lovers, art enthusiasts, and travelers would love to explore the stories buried deep inside the walls of the hostel. Simple, elegant and unique, the accommodation is among the cheapest lodging spaces in central London. The best thing about the place is the way it juxtaposes the old and new so effortlessly. For instance, the spacious reception and front desk still retain the paneled wooden walls, marble flooring and the ornate glass ceilings that are in stark contrast with the funky, modern ambiance of the place. Check out these facts and tips and plan your stay at Clink78. The ClashBar hosts the most happening concerts and parties and features vintage lamps and hexagonal side tables. London is among the most iconic cities of the world, and when you’re in this wonder city, make your stay memorable, by booking accommodation at Clink78, with all its quirkiness, history, and inimitable charms.